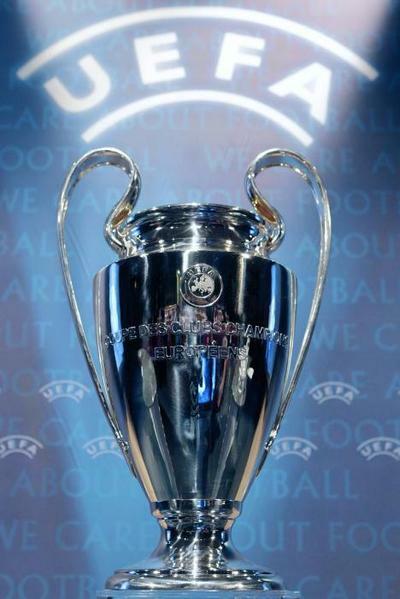 So once again the Champions League reappears and the draw for the round of 16 has been made. And once again there are some ties which make you say, “There’s going to be a lot of controversy in that one” I don’t how UEFA manages to do it so well without drawing serious attention to themselves from people who actually matter in the football world. Seriously, we can tell which matches are going to cause a stir; you can’t keep expecting people to believe there are coincidences. - Not much to say about this one. A relatively even match up, Roma finished 2nd in Group E which contained Bayern. One match between the two sides the Romans came from 2-0 down to win 3-2, whereas Shakhtar managed to win a group which Arsenal were expected to dominate. - Valencia 2nd in Group C to Man Utd and Schalke winners of Group B. Another about even match up. One talking point could be Raul’s return to Spain, even if not against his former club. - A repeat of last year’s final. Yes we expected it given the seedings so no surprise here. Evidence of UEFA seeking to keep people interested with the absolute “randomness” of such a thing unfolding. It’s a different Inter which won the Champions League last season however. No more Mourinho, a visibly older squad, Wesley Sneijder a shadow of the player who lead Inter to that magnificent treble, and let’s not forget Rafa Benitez is now their manager. Bayern however aren’t in much better shape. At the time of writing they currently sit 6th in the Bundesliga 17 points behind leaders Dortmund. - Lyon was the team that knocked out Madrid last season at the same stage. The same stage they’ve been stuck at since 2004. Given that they now have Mourinho in charge, whose sole purpose at the Bernabeau is really to lift the Champions League then it will probably be the turning point for them this year around, provided that the players don’t catch cold feet. And of the possible teams they could’ve drawn Lyon was just the right amount of difficultly to give them a test but allow them to go through. - Easy draw for Sir Alex’s men. They finished unbeaten in their group and look most likely candidates for the Premier League based on current form and Chelsea’s stuttering. - If Ancelotti is still around given Chelsea’s recent form this is a match they will be thankful for. Another easy tie for the favourites. - The two best passing sides in the world faceoff. No, Barca couldn’t have been given an easy run to the title as they are the favourites for the cup, especially after the 5-0 drubbing of Madrid in La Liga even though that is another competition. The 3 Ballon D’Or nominees all play for the Blaugrana. Arsenal have been good this season so there is no clear winner here on the basis of current form but the Champions League doesn’t return to February. Also, one cannot forget the Cesc Fabregas issue, when will he finally give up on Arsenal and return to the Camp Nou. - Spurs topped a group containing the other side from Milan so it was obvious they had to come up against the other half of the city sooner rather than later. Good Premier League form has been transferred to the Champions League for the men from White Hart Lane with Welshman Gareth Bale receiving all the plaudits. Milan sit atop Serie A thanks to their summer signings of Ibrahimovic, Robinho and Boateng and new manager Allegri but their Champions League form has not been as consistent. Spurs have employed the you score 3 we’ll score 4 method of wining most of their games this season so this is likely to be a high scoring tie. Winning the treble might be hard, but what follows is even harder. You not only have to maintain what you achieved, but as unlikely as it sounds also try to improve where possible. This is why Barcelona and Pep Guardiola will have a tough summer ahead of them in terms of signing players. So I’ll just give my opinion on the changes I think would be suitable to improve the squad. First of all it’s an almost certainty that Samuel Eto’o will leave the club this summer. His destination is still unknown, but he’ll likely be residing Manchester or Milan next season. City is the likeliest of destinations, but there are also rumors linking him with United, Milan, and Inter. So basically a striker will be needed, it’s an easy choice for most people as only one name comes to mind: David Villa. One of the top strikers in the world currently, settled and proven in Spain, with Valencia willing to sell, and Madrid having ended their pursuit of him. So there’s nothing left except for Eto’o to leave to make way for El Guaje. Now the weakest spot in Barca’s attack (although it’s difficult to call it weak given their amazing goals tally last season) was Henry, he was great for sure, but at 31 his best years are behind him and I think his form in the previous campaign is probably the best he will ever offer to Barca. Another name that is no longer linked with the Galacticos is Franck Ribery. There is hardly a better winger in the market than the Frenchman, at 26 he’s just what Barca are looking for: talent, speed, technique, and experience. Just imagine an attack with Ribery on the left, Villa in the center, and Messi on the right. With such players Barcelona would definitely have something capable of rivaling the Real Madrid trio of Kaka, Ronaldo and Benzema. We all know how Hleb failed last season. He couldn’t settle after his move from Arsenal and it’s quite likely that he will want to leave, and Barca would want him to leave as well. Bayern are reported to be interested, so he could be included in the deal that would see Ribery come to the Blaugrana. Another name on the way out is the Icelandic Eidur Gudjohnsen. The former Chelsea forward is surplus to requirements at the club and is reported to be seeking first team football which some clubs in England might be willing to offer him. So, if Hleb and Gudjohnsen leave, Barca will certainly need an understudy for Iniesta, a player with an attacking flair. No one better springs to my mind other than the player who Arsenal signed to replace Hleb, Andrei Arshavin. Linked with Barcelona all the time, has the talent and mentality to do well. Could be used as the super sub, the role that Pep intended for Hleb last season; he’d add something new to the Barca attack and could certainly cause trouble to any defense. However, unless the Russian really wants to cause unrest by forcing a move away from the Emirates, he’ll remain in North London next season. Once the attack has been taken care of, it will be time to reinforce the defence, one area where one can see room for improvement for the treble winning side. Regular left back Abidal is good defensively but average going forward. He’s not bad but to be the best you only have to keep on improving, and that’s what Barca have to do. Ashley Cole would be a decent addition in my opinion, he’s better than other names in the market like Riise and Aly Cissokho, and he’s been linked with Barca. Has great experience and could fly all down the left wing the same way Dani Alves does it on the right side. The only spot left is the center back, if Milito and Marquez return, along with Puyol, Pique and Cáceres, and they all stay fit, I don’t see a need to buy or sell any center back. Things are fine as they are, at least the way I see it. Some might think I’m asking too much spending, as Barcelona is already a fine squad as it is. But I think to improve on the ‘treble’ they have to spend big, and with a squad like this they can realistically win 6 tournaments, which is the only feasible thing for them to aim for after such a terrific year. It’s been a spell of turmoil for Italian Football over the last three months. A number of situations have occurred which have taken the league to a real low compared to other big leagues of England, Spain and even Germany. 1) Kaka was recently presented as a Real Madrid player with the number 8 jersey, bringing to end a transfer saga which essentially stretched for roughly 2 years. The details of the transfer are really and truly irrelevant at this point as issues regarding the amount Madrid have spent on him, what Milan will do with the money and other things have been discussed time and time again. What I want to focus on is how his departure affects Italian football. On the face of it, it should affect Milan more given that they’ve lost their best player. But aside from being the Rossoneri’s best player , Kaka was also one of the best players in the league, not to mention the most marketable player. 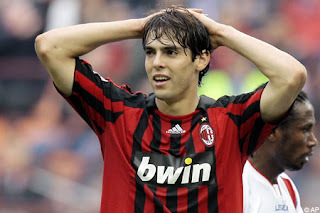 Players like Kaka brought attention to the Serie A. The league has been living in the shadow of the Premiership and La Liga for the past 3 years or so despite Milan’s Champions League triumph of 2007. Something not aided by the recent economic crisis. Serie A obviously still contains many terrific players with the likes of Ibrahimovic, Maicon, Ronaldinho, Pato but none of these players really deliver what Kaka did in terms of marketability. Shirt sales, boot deals, lucrative commercials, the list goes on. Not to mention the fact that Ibrahimovic has been linked to Chelsea, Madrid and Barcelona. Maicon to the free spending Spaniards and Pato to The Blues. 2) A lesser cause for concern but something which has been overlooked is the loss of legends such as Maldini and Nedved. Sure they weren’t the youngest anymore but it’s what these players brought to the game in terms of integrity and loyalty. Something lost to many players in this day and age of the game. 3) And finally to the Confederations Cup in South Africa. This was the last straw for the Italians. An absolute horror showing. I’m not just talking about the 3-0 hammering at the hands of Brazil either but the whole tournament as a whole. Italy lacked dynamism in attack, defensive stability and connection in midfield. The Confederations Cup is a chance to test out things and see where things are going wrong or right before the real test at the World Cup. Marcello Lippi clearly got it wrong but in some ways I think he knew that. In my opinion Lippi knew the limitations of the squad he took with him to South Africa yet wasn’t ready to admit it yet. The displays in South Africa would have showed him where he needs to make changes. Unfortunately it won’t be so easy as there are all over the pitch. One easy problem to fix however is getting rid of the dreaded 4-3-3 formation. Italian success is usually found with the incorporation of a fantasista. Something not included in the 4-3-3. Despite not setting the stage alight in Germany 3 years ago what Totti or Del Piero offered was a link between the midfield and attack. Pirlo, one of the major protagonists of that World Cup triump of 2006 had a good tournament, especially when taking into consideration the form of his other teammates. 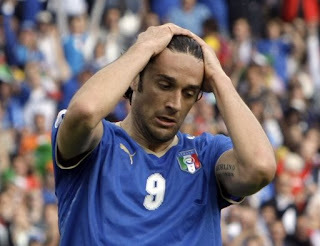 However without someone to connect the midfield and attack nothing will go right for Italy. Insert Antonio Cassano. Hopefully Lippi can get over whatever problem he has with the Sampdoria man who has found a new lease of life. However it’s not all bad news for Italy. The U-21s despite being stopped at semi-final stage were a joy to behold and many of the players have a chance at making it into the squad for the World Cup. As Lippi said after the defeat to Brazil; plunging a bunch of youngsters into the team isn’t going to magically fix things. But that being said a number of youngsters can make an impact on the squad and make it easier for the transition when the majority of the team gets too old and retires, which is likely to happen after the 2010 World Cup. The likes of Marco Motta, Domenico Criscito, Fabiano Santacroce, Salvatore Bocchetti, Claudio Marchisio, Mario Balotelli and Sebastian Giovinco are likely candidates for consideration for the future of the Azzurri. If a few of these bunch can produce some terrific seasons with their respective clubs , along with some overlooked by Lippi like Gaetano D’Agostino and some who were injured like Alberto Aquilani and Antonio Di Natale then Italy have a good shot of at least making the semi-finals of next summer’s event. All eyes will be on Lippi to see if through La Nazionale he can bring back some glory and respectability to Italian football amongst the other leagues. Italian Edition: Is This The Downfall of AC Milan? Is this the end of the glory days for AC Milan? Is it now all over for the Milanistas? No more summer spending, no more trophies, nothing? Silvio Berlusconi, the man who rescued Milan from Serie B in the late 80’s and led them to their current glory whilst being celebrated as the club with the most international trophies in the world, was once adored and idolized by all the Rossoneri fans around the globe. This same man is currently a popular hate figure amongst many diehard Milanistas for what is seen as the deterioration of the club season after season. 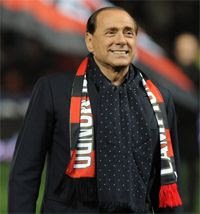 Berlusconi, along with Galliani, are blamed for all the recent failures of the Milanese club. Can they rescue Milan once again? It all started with the sale of Shevchenko. Before the 2006 World Cup, Milan had one of the best squads in the world. However, they had finished trophyless for two seasons in a row. Was it time for Ancelotti to go? Was it time to start a new era? After the World Cup, Sheva went to Chelsea. Ancelotti and Pirlo almost went to Real Madrid, only for Berlusconi to block the moves at the last minute. Milan never really replaced Shevchenko, instead they bought Ricardo Oliveira from Real Betis. He turned out to be a major flop in the peninsula. Kaka was then seen to be the one to ultimately replace Sheva. In the Serie A the club’s form was terrible, up until the January transfer window arrived. Massimo Oddo and Ronaldo were signed from Lazio and Real Madrid respectively as short term replacements to quickly fill the gaps. Milan’s form started improving domestically but their main focus was on the Champions League. By the end of the season Milan had become European Champions. Kaka stepped up and filled Shevchenko’s boots, Ancelotti, Pirlo, Seedorf, Gattuso, and Nesta all had their magical moments. But was this enough to rely on for the future? Wasn’t it time to rebuild despite success? Time to incorporate some youngsters whilst still on a high? Berlusconi and Galliani didn’t think so, according to them AC Milan was a team full of “Experienced Champions”. Eventually no big name players were signed, and no weaknesses were improved. No new defenders, no new striker (not until January anyway, when Pato was able to play), just Emerson, another Real Madrid reject. Despite being a former Serie A great with Roma and even Juventus he had become old and slow. Something heavily associated with Milan at the time. That season turned out to be the worst of this decade for AC Milan. They finished in a humiliating 5th spot, after being knocked out from the Champions League by Arsenal, failing to even qualify for the quarter finals. However, according to Berlusconi and Galliani it still remained a successful season after Milan lifted both the European Super Cup and the Club World Cup. But for the Milan fans, it was a humiliating season. Ronaldo was injured all of the season and played only 1 game and a half, Milan’s form at the San Siro was horrific, and the Rossoneri giants had to rely on an 18 year old kid nicknamed “The Duck” to save them from more embarrassment. Last summer however was an improvement. 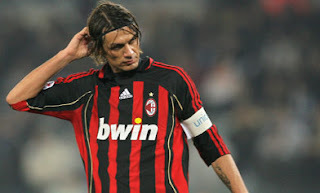 Milan at least acted in the transfer market, however being unable to acquire original targets such as Adebayor and Ivanovic, Milan ended up with Ronaldinho and Senderos. Zambrotta, Antonini, Borriello, Shevchenko, and Abbiati also arrived. Hardly a Champions League winning squad, but definitely an improvement from the previous season. With no Champions League to play for, Milan crashed out of the Uefa Cup early against Werder Bremen, and finished the season 3rd in the Serie A. Obviously, Berlusconi and Galliani had had enough and it was time for Ancelotti to go. Leonardo was destined to fill his boots, with every Milanista hoping he’d pull a Guardiola. Was he the right choice? We’ll have to wait and see. Despite all the facts mentioned above, the biggest hit to AC Milan has to be the sale of Kaka. Milan’s #1 star, the club’s main marketing image, the player destined to be the next captain and finish his career at Milan. It turned out to be all lies, all the rumors were true, and eventually Kaka did leave Milan for Real Madrid. Okay, life goes on, and a player leaving isn’t the end of the world. Instead of Berlusconi and Galliani spending the money from the Kaka sale to reinforce and rebuild the squad, they decide to use it to “balance the books”. What has happened? What has happened signor Berlusconi? Don’t you like AC Milan anymore? Turns out that Berlusconi wants AC Milan to function as a company now, so no more personal cash to help the club. With Serie A’s image declining season after season, Milan, and all the other Italian clubs, can’t afford to spend as big as English or Spanish clubs. So, no Kaka replacement, or no stars to be signed. Even when Milan fans got a glimmer of hope when Galliani said that Milan will rely on the youth, the Cissokho deal fell through and Werder Bremen refused to sell Dzeko. After a year away we the writers of Soccer Editorial are back. This time around we’re not just offering our opinion on the football matters of the world but we shall also bring the latest news, transfer gossip and some interesting columns unique to our blog. Some of these articles will include a fantasy football guide and prediction column for the Barclay’s Premier League, as well as a historical look from the 80's and 90's of Italian football.